The hills look like sand dunes. Silt blew in during ice ages. It is now very rich prairie soil. 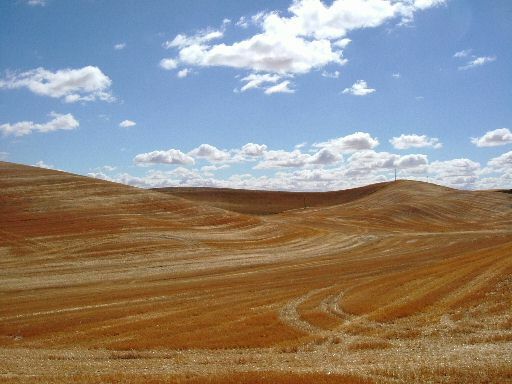 Palouse wheat fields grow, mostly wheat, lentils and peas. 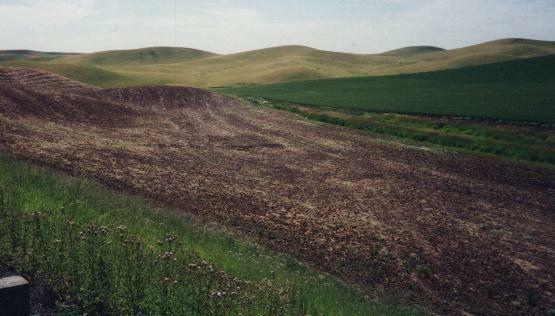 Some of the land is left bare for one growing season. This is called summer fallow. When I was a kid, they told me the summer fallow land was resting. Bicycling through this unique landscape is quite an experience.